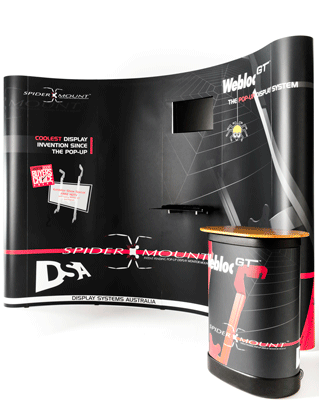 SpiderMount™ technology can take pop-up exhibiting to a new level! 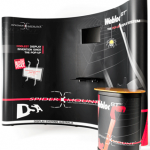 The SpiderMount™ adds LCD HDTV technology to existing Webloc GT™ pop-ups. SpiderMount™ allows you to hang up your LCD HDTV onto any of your Webloc GT™ popups. It is assembled in seconds using one tool (provided), holding the screen flush with the panels for a smooth finished look. 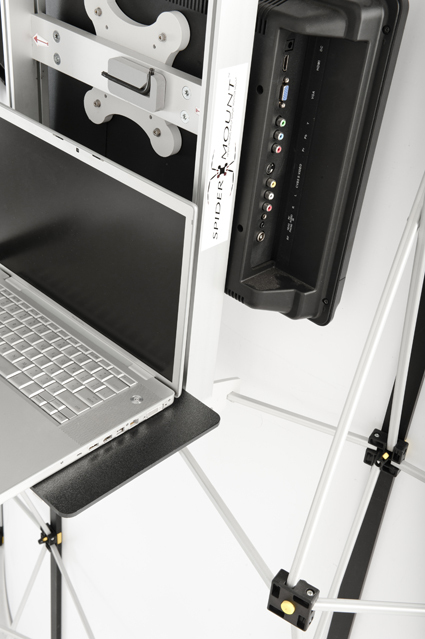 You can hang up two four SpiderMounts™ onto one Webloc GT™ stand. SpiderMount™ weights only 1.4kg and packs into the Webloc GT™ case — no extra cases needed. Also available is the optional SpiderMount™ Keyboard Shelf.